Medical scientists have discovered a new way to detect pancreatic cancer early enough, before any symptoms start to come up. 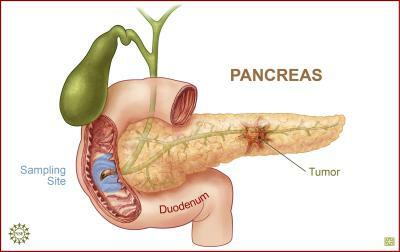 According to a recent study in Nature Medicine, diagnosing pancreatic cancer can be very difficult at first because unlike other cancers, its tumor cannot be felt with the hands until it is fully advanced and severe enough to be deadly. And the reason for this is not far-fetched: the pancreas is located deep within the human. The pancreatic cancer medical research team collected blood samples from over 1,500 people and analysed about 100 compounds that are generated from the breakdown of food intakes. The metabolites from one group in the study which later had pancreatic cancer were found to be higher in blood branched-chain amino acids (BCAA), while the second group that did not develop pancreatic cancer was found to have fewer metabolites or BCAA, an essential nutrient that is processed by the body from food proteins.